I always love an easy to make tea cake which you can prep in 20mins ready for any unexpected guests ... and easy doesn't mean tasteless!! 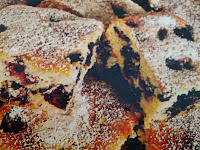 The delicious Huckleberry Cake is definitely one for the recipe book with it's lovely tea cake texture sprinkled with delicious blueberries! In a large bowl stir together flour, sugar, baking powder and salt. In small bowl beat together milk, egg, butter and vanilla. Stir mixture into flour mixture until dry ingredients are moistened. Stir in berries. Turn into greased rectangular cake pan. Bake in a 180 degree over (mid-high) for 40mins or until pick comes out clean. Cool on wire rack and cut into squares. 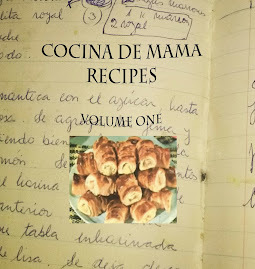 Don't forget to watch more recipes on Cocina de Mama's YouTube channel. Looks good! Think I will give this one a go soon!